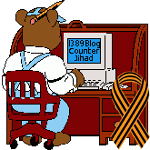 Gautama 1 — Allah 0 — 1389 Blog - Counterjihad! Oh boo-hoo! Nasty, vicious Buddhists ganging up on those poor defenseless Muslims once again. The violence has proven to be a major challenge for Thein Sein’s government, which rights groups say has done little to crack down on religious intolerance and failed to bridge a divide that has left hundreds of thousands of Muslims marginalized, many of them trapped in prison-like camps for those who have been displaced. The attacks have spread this year into Myanmar’s heartland, ravaging several other cities. At the same time, a Buddhist-led campaign called “969” has taken root nationwide. Its supporters urge Buddhists to shop only at Buddhist stores and avoid marrying, hiring or selling their homes or land to Muslims. I guess they were really, really hoping that you would have gotten bored and stopped reading before getting to that last sentence. From the sound of this reporting, Islam has no responsibility for some 270,000,000 deaths in the past 1,400 years nor is it supposed to be the source of almost all global conflicts in this day and age. Do the math. 270 million divided by 1,400 is almost 200,000 per year, or over 500 per day, or over 20 per hour or about one person every three minutes being killed by Muslims ever since Islam was founded. It is long past tea for pathological MSM (Main-Stream Media) liars to pay the piper. Eff’m. Let them all kill each other! regarded as “Objects of Fear” by all infidels, even if the specific muslim hasn’t committed any crimes! Next post: The Motorcycle of Doom™ Strikes Again!